When we get a new shipment of shoes, it’s like Christmas all over again! 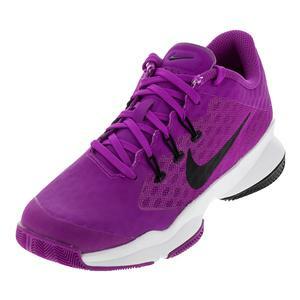 My heart lept with delight when I laid my eyes on my new pair of NIKE Women`s Air Zoom Ultra Tennis Shoes! The hot color, the bright white swoosh, and the super soft upper were almost too much to take in. I’ve been looking for a pair of lightweight shoes that’s perfect for match play, so keep reading if that sounds familiar! I’ve been wearing these shoes for about a month, and they have passed some serious tests! These shoes are ultra lightweight, and they don’t need a break in period. I always try out new shoes on drill days, so that I can change if I’m testing out a pair that doesn’t work on my feet. I honestly put these on, and didn’t think about them again until it was time to unlace them. You’ll be able to wear them straight out of the box with no concern. Because they’re so lightweight, I was able to turn, stop and start quickly during play. I’ll be honest, though. 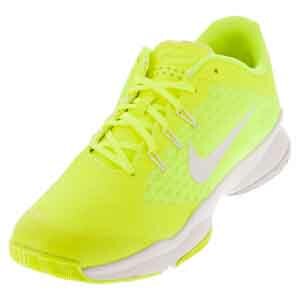 I may have been wrapped up in the excitement of the Olympics when I told the Nike rep that I wanted the Volt color. I mean, they just looked so good on the podium…wouldn’t they look great at my tennis match? In fact, shouldn’t we have medal podiums at my next tennis match? The Nike Air Zoom Ultras are also super breathable. Even if I play indoors, my feet get hot during a long match. Speaking of climate control features, these shoes have a thin, soft rubber layer around the toe box area. I love this feature because it kept my toes dry during a run to the car in a total downpour. This material is breathable, but waterproof, which is great for any part of the country. 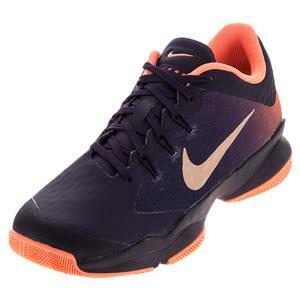 Nike makes this shoe with Air Zoom Units to provide a good amount of cushion and comfort during play. These shoes definitely rate high on the comfort scale, but a word of caution: If you’re a toe dragger or you play 4-5 times a week, expect to replace these shoes every 3 months or so. That’s why I’ve decided to save these for match days and wear more durable shoes for drills and lessons. If you only wear them a couple of times per week, you can probably wear them for 6 months without worry. The Nike Air Zoom Ultras already come in a lot of different colors, and you can bet this is a shoe that Nike will be making each season in the latest colors! They’ve even made Limited Edition versions of this shoe for the WTA Finals, so it truly has become one of Nike’s flagship shoe model! Check out our entire selection today!